Rawthentic Records is a small independent label formed in early 2012 by Melbourne MC P.Link. In the short time since, the label’s growing roster has been represented at international & local level countless times all over the country, supporting UltraMagnetic MC’s, Trem One, Brad Strut, Funkoars, Maundz & Jake Biz just to name a few. In between shows the label has released 3 solo EP’s from Label stalwarts – P.Link, J.Mac & DownPat, plus earned spots on the Obesecity 2 & White Russian compilations, all while enlisting fresh young talent in the form of Eazy MC, Jestar Dharma, & DJ T-Nuc. – The Roster a collection of new solo & crew tracks with no guest features, straight from the Rawthentic Fam – The Aphilliates (P.Link, J.Mac, DownPat, dJ rellik), Eazy, Jestar Dahmer, DJ Metaphor & DJ T-Nuc. The Roster stays true to that old Melbourne soundscape painted by the influential crews and artists who held skills and originality before all else, especially radio play and a quick payday. Laden with proper production from Rawthentic favorites Must Volkoff, Engineer, Brez, Vince Van Go & Sammy Scissors, the 12 track LP also features new names to the boards Koots on the title track posse cut, while Fluent Form makes his production debut with J.Mac on Half Full. 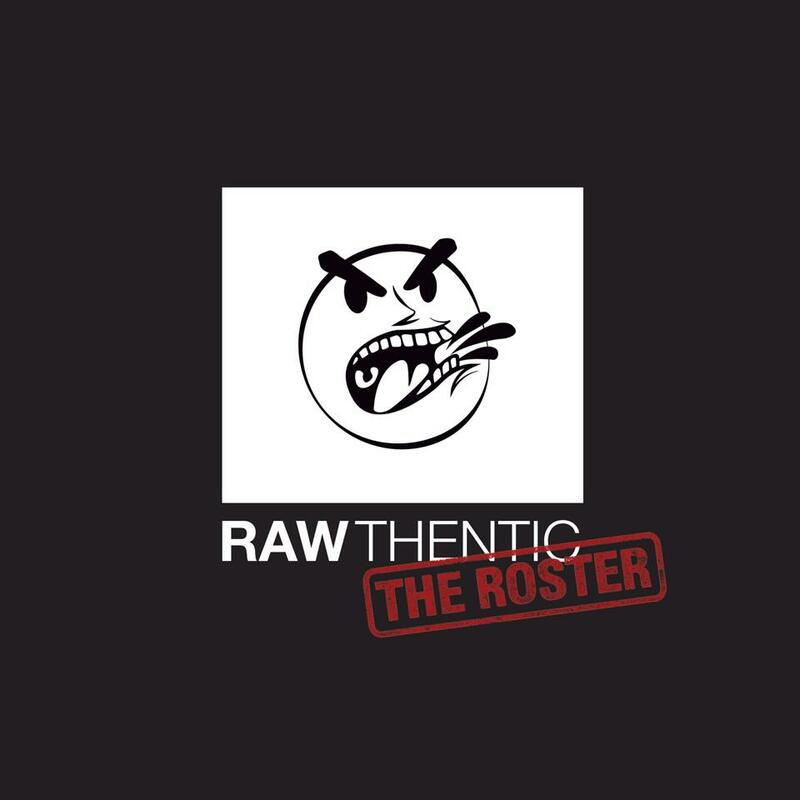 Throw in heavy cuts and even a beat from the resident DJ Rellik and you have yourself – The Rawthentic Roster. Get it now!